I know I am a Scandi and all sorts of biased, but seriously – how can you not love it? 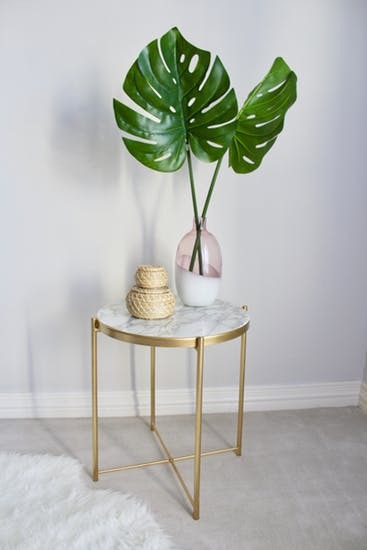 What I especially love – and know for a fact that the people at Ikea love too – is that often, it's what you can do with a piece of Ikea furniture – how you can change it, add to it and really make it your own – that is the best thing about the whole Ikea concept. 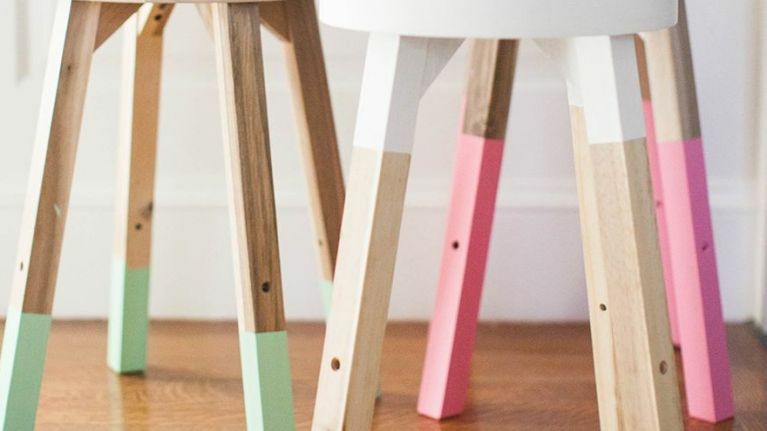 Enter Ikea hacks – many (many) of which you'll find in the thousands on Pinterest. Crafty men and women across the globe sharing with us just how they have changed up what was once just a standard Ikea buy into something completely unique and amazing. And the best bit? 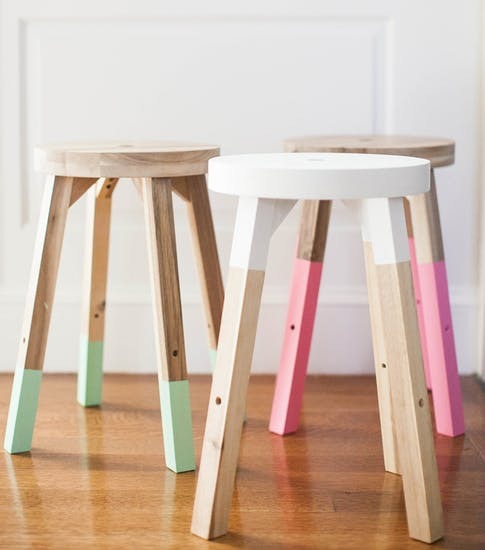 These are most often so easy to do that we can totally steal their ideas and attempt said Ikea hacks for our own homes. Yes, it's in German, but guys – just use Google Translate, and these fabulous rustic-looking floating shelves can be yours. Spray paint + contact paper, and voila! This one goes down in history as the cutest hack we've ever seen. 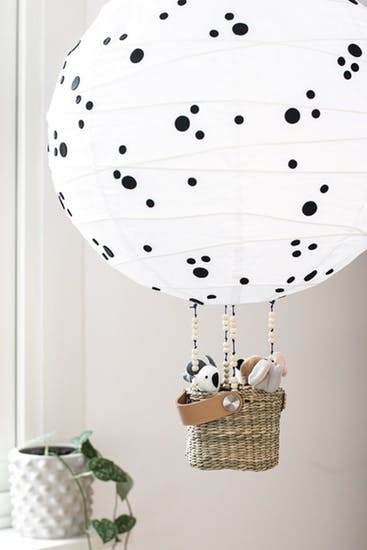 Stickers, beads, and a few well-placed animals make this lantern come to life. 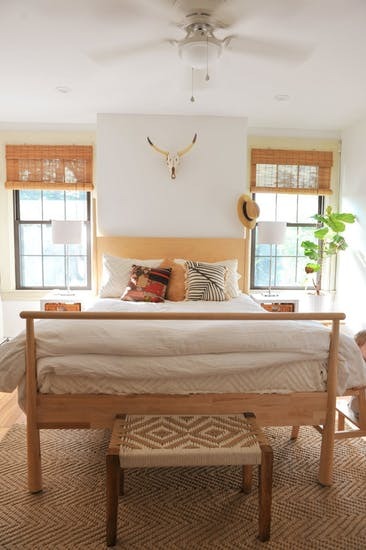 Give your bedroom a western, boho makeover with this bed hack. 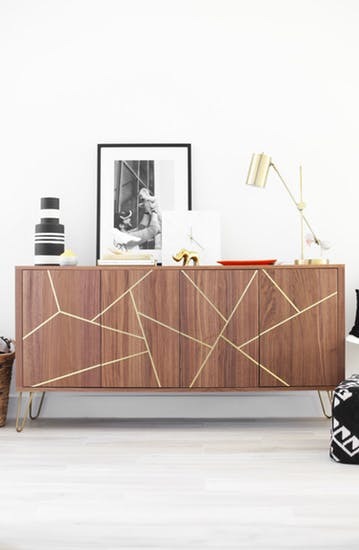 This looks SO expensive and a bit West Elm-y, we think – and yet can be accomplished with an Ikea sideboard and some metal-coloured tape. 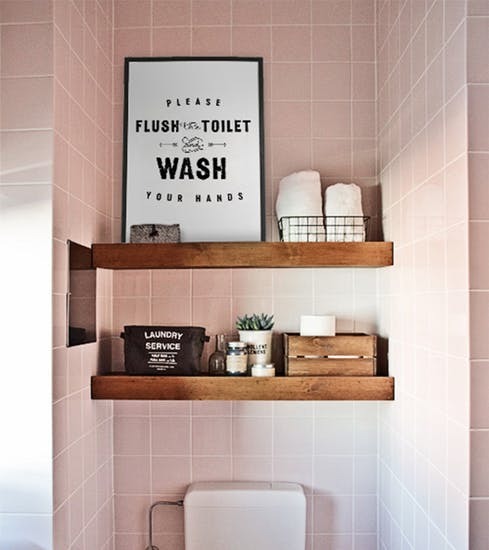 Love the farmhouse style? 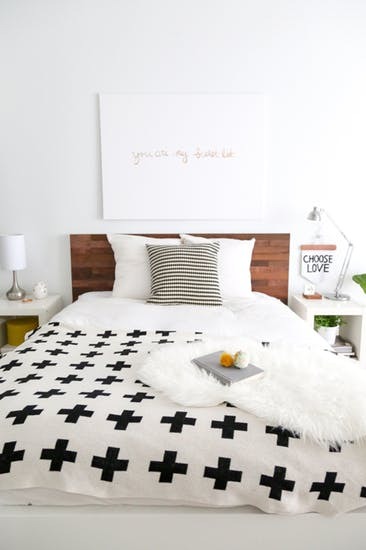 Then you need this shiplap look hack in your life.